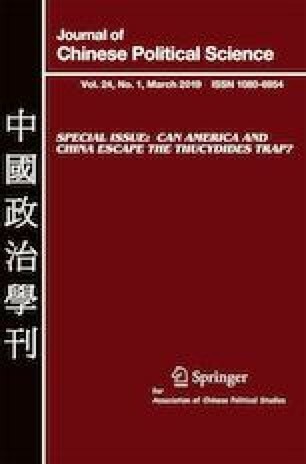 The aim of this article is to critically examine how the mainstream International Relations (IR) theoretical perspectives — realist, liberalist, and constructivist — make sense of the relationships between Self and Others in explaining the rise of China in IR. Our argument is two-fold. First, although mainstream IR perspectives are believed to produce objective, neutral, scientific, and universal knowledge about reality and how the world works, they are not value-free explanations but normative approaches that serve the US/West hegemony, and Orientalism appears to constitute the hidden normative underpinning of those perspectives. Second, considering mainstream IR perspectives as problem-solving approaches for the hegemonic US/West reveals that the hegemonic Self uses the logic of conquest, conversion, and socialisation to deal with the Other, rising China. This work was supported by the Ministry of Education of the Republic of Korea and the National Research Foundation of Korea (NRF-2016S1A3A2923970). Abe, Shinzo. 2012. Asia’s democratic security diamond. 27 November 2012, https://www.project-syndicate.org/commentary/a-strategic-alliance-for-japan-and-india-by-shinzo-abe?barrier=true. Accessed 14 July 2016. Harner, Stephen. 2015. ‘Obama’s “Pivot” Policy Toward China in the South China Sea Sure to Backfire.” Forbes, June 4, 2015. http://www.forbes.com/sites/stephenharner/2015/06/04/obamas-pivot-policy-toward-china-in-the-south-china-sea-sure-to-backfire/. Accessed 1 July 2017. Hobbes, Thomas 1660. Leviathan. https://www.ttu.ee/public/m/mart-murdvee/EconPsy/6/Hobbes_Thomas_1660_The_Leviathan.pdf. Accessed 12 April 2018. Kaplan, Robert D. (2005). How we would fight China. The Atlantic, https://www.theatlantic.com/magazine/archive/2005/06/how-we-would-fight-china/303959/, Assessed 4 Feb. 2018. Liao, Rebecca. 2015. Sorry, Obama: America Can’t contain China. The National Interest, http://nationalinterest.org/feature/sorry-obama-america-cant-contain-china-13097. Accessed 1 July 2017. Lyon, Rod. 2015. Assessing the US Rebalance to the Asia–Pacific. The Strategist, January 16, 2015. https://www.aspistrategist.org.au/assessing-the-us-rebalance-to-the-asia-pacific/. Accessed 1 July 2017. Rice, Susan. 2015. National Security Advisor Susan E. Rice’s As Prepared Remarks on the U.S.-China Relationship at George Washington University. https://www.whitehouse.gov/the-press-office/2015/09/21/national-security-advisor-susan-e-rices-prepared-remarks-us-china. Accessed 1 July 2017. Tiezzi, Shannon. 2015. Yes, the US does want to contain China (Sort of). The Diplomat: http://thediplomat.com/2015/08/yes-the-us-does-want-to-contain-china-sort-of/. Accessed 1 July 2017.